Thrifty Horse carries a large selection of New Brand Name items for the Astute Equestrian. Jewelry for Show, Evening & Everyday adornment. Stable Tools & so much more! 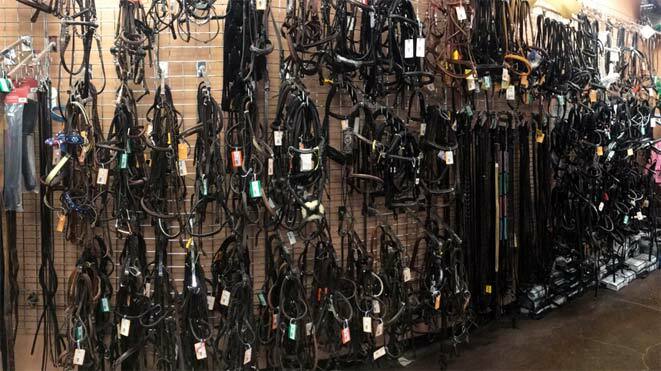 Our selection of products for horse care, riding items for many disciplines, decor items for your home, and personal accessories continues to grow. With an ever changing and growing inventory, you will want to visit Thrifty Horse often. We are continuing to grow and work on meeting the needs of our faithful patrons. Come down and visit us to see just what's in store for you!